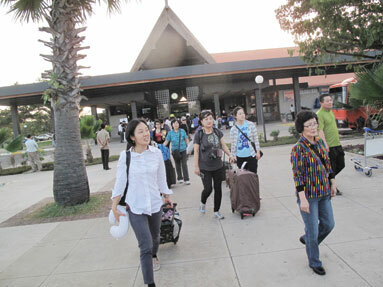 the project was approved by Prime Minister Hun Sen.
to 16 million passengers a year”. land large, long-haul planes and to protect historic Angkor Wat. facility can handle flights with a range of 10,000 kilometres. Korean investors could not be reached for comment.